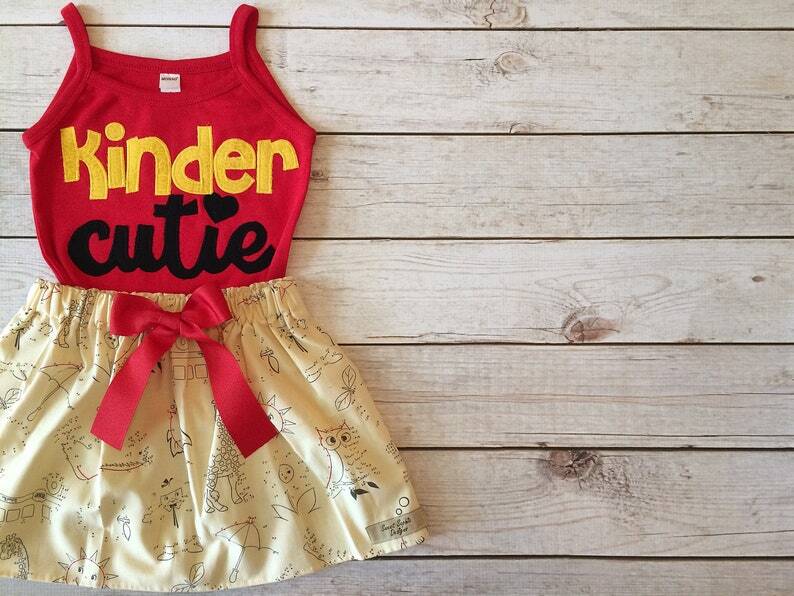 Kinder Cutie, First Day of School Skirt Set. Adorable Fabric Applique Top on a red Monag brand top and adorable skirt with elastic waist and red removable bow. These size recommendations are TTS, if you desire a baggy, roll the sleeves look please order up a size.